The past week has been the quietest week of the year so far for bulker S&P activities, while the interest for secondhand tanker bargains is finally picking up. It is expected that the strong levels of bulker S&P activities will return with the end of the Lunar New Year holidays in the Far East. A glance at chartering activity in the past week suggests smaller bulkers are set for another price rise. “On the dry bulk side, it seems as though things came to an absolute halt this past week, with activity dropping to the lowest levels we have witnessed in over two years. The Chinese New Year Festivities may have played a part here, though it is likely to have been an indirect one, with both sellers and buyers likely to have delayed any decisions looking to get a more firm grasp on the overall market direction and in the case of the former, likely betting that they will be able to achieve a considerably improved price on their sale candidates,” Allied Shipbroking said in its latest report. Both Clarkson and Intermodal listed a transaction involving German owner Reederei H Vogemann swooping for the 2011-built handysize bulker Formentera from Danish owner Falcon Maritime. The 34,700 dwt vessel has fetched a price of $11.3m. “On the tanker side, we seemed to have noted the completely opposite trend from that noted in the dry bulk sector, with a flurry of activity emerging this past week and ranging across all size segments in the sector. It is fair to point out that we also witnessed more specialized units changing hands, something that could take away from the overall volume noted,” Allied Shipbroking said. Intermodal and Allied Shipbroking identified Danish owner Navigare Capital Partners as the buyer of the 2013-built MR tanker Kiribora from French company Socatra. The 52,000 dwt vessel was sold for $27m. More than five shipbrokers including Clarkson, Andreas J. Zachariassen, Allied Shipbroking and Optima reported the sale of 1992-built MR tanker Huascar. 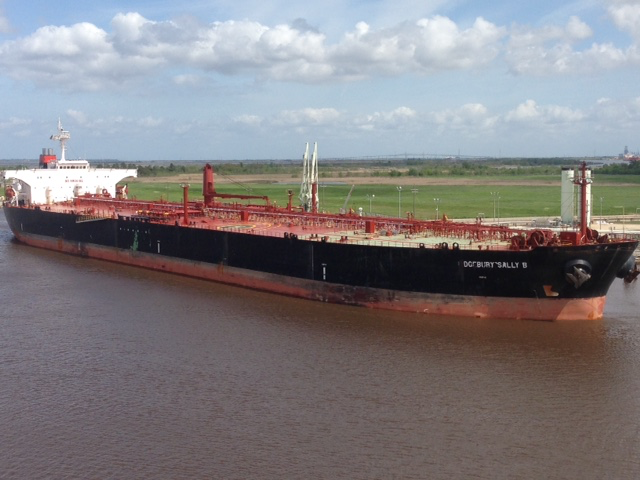 Indian owner Peninsula Maritime is said to have taken the 35,722 dwt vessel from Greek owner Trinity Ships for $2.8m. Several shipbrokers reported that the 2003-built aframax tanker Ridgebury Sally B (pictured) has been sold to a Greek owner, and Advanced Shipping & Trading identified the buyer as Greek owner Michael Gotsis’ Eurotankers, which acquired the vessel from US owner Ridgebury Tankers for $9.3m. The growing interest in feedermax containerships in the S&P market still shows signs of life, despite limited deals having been reported. Ship inspections are proceeding in great numbers. Multiple shipbroking houses including Intermodal, Braemar ACM Shipbroking and Allied Shipbroking all reported a deal in which Chinese feeder boxship operator Goto Shipping acquired three feedermax boxships – the 2006-built FPMC Container 6, 2007-built FPMC Container 7, and FPMC Container 8, from Taiwanese owner Formosa Plastics for a total price of $16m.